On Sunday, speaking at a BJP rally in Bengaluru, PM Modi had said, "The country is talking about ease of doing business, but in Karnataka it is 'ease of doing murder'... BJP workers are being killed". 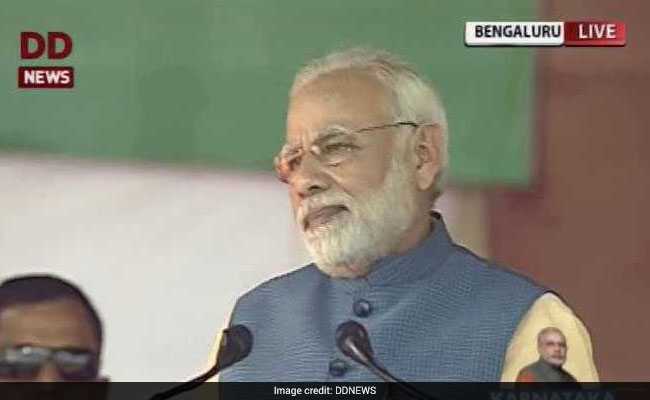 PM Narendra Modi addressed a massive rally in Bengaluru on Sunday ahead of state polls. Bengaluru: A day after Prime Minister Narendra Modi attacked the Congress government in Karnataka over the law and order system, alleging that the workers of the BJP and its ideological mentor RSS are being murdered, Chief Minister Siddaramaiah decided to strike back. As soon as the Governor's address to the joint legislature session was over, the Chief Minister addressed a press meet to counter many of the charges made by PM Modi. 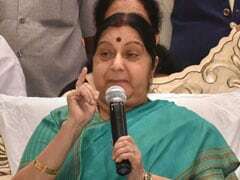 "The Prime Minister had repeated BJP and RSS allegations that more than 20 right-wing party workers had been killed for their politics during Congress rule in the state. Modi used the phrase 'ease of doing murder'," he said. Then he countered with figures from the National Crimes Record Bureau, saying the crime rate in BJP-ruled states like Uttar Pradesh and Madhya Pradesh were much higher. "It would be good if Modi looked at the top crime stats in the country," the Chief Minister said. "Uttar Pradesh and Madhya Pradesh are much worse than us... It is their (BJP) government... In fact, our record is better now after this (the Congress) government came in," he added. Mr Siddaramaiah also said Karnataka was receiving the highest amount of investment in the country and that would not happen if there was really a law and order problem. He also objected to repeated assertions by BJP leaders that the Centre had increased the funds given to Karnataka, something that was highlighted by both PM Modi and BJP president Amit Shah during the party's statewide rally Parivartana Yatra. "Where did the money come from," he questioned, then asserted it was funded by taxes and his state ws the third highest taxpayer. "The finance commissioner decides how much each state gets. It is our share! Our right," the Chief Minister said. "They keep saying 'we have given'. They have to give. Can we say we won't give taxes collected here to them? No, there is a constitution," Mr Siddaramaiah added. The Chief Minister also criticised the PM Modi for not mentioning the Mahadayi issue in his one-hour speech at the rally. The matter, he said, has been pending for two years, waiting for intervention by the Prime Minister. "This is for drinking water in Hubbali, Dharwad, villages. Goa and Maharashtra are saying no. Their Chief Ministers are there. It was expected he would speak about Mahadayi and say he would intervene," he said. But he refused to comment on the tweet by Congress's social media in charge, Ramya. The tweet - Is this what happens when you're on POT?" -- had mocked PM Modi's comment about farmers being TOP priority -- TOP standing for tomatoes, onions and potatoes. The BJP had been severe in its criticism, calling it an insult to the masses. "You need to ask her about it. But nobody should make personal comments," Mr Siddaramaiah said.